Thursday Steak Number Eight is supporting the loudest silent movie on earth! The loud and dark fairytale Gutterdämmerung is a rock ‘n’ roll / film / gig concept from the mind of Belgian-Swedish visual artist Bjorn Tagemose. 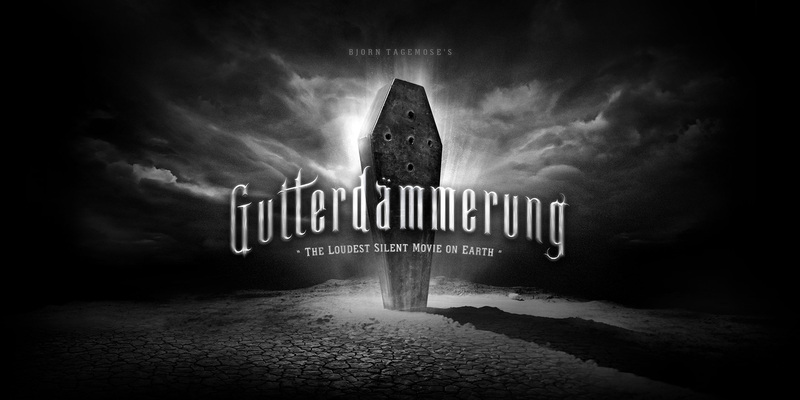 Gutterdämmerung is part rock show part immersive cinema experience featuring some of the biggest rock names on the planet including Grace Jones, Iggy Pop, Henry Rollins, Eagles Of Death Metal’s Jesse Hughes, Motörhead’s Lemmy, Tom Araya, Mark Lanegan, Volbeat, Queens of the Stone Age’s Joshua Homme, Justice, Nina Hagen and Slash.